– Try to make the swoon excerpt 140 characters (or less), if you are going to tweet about it. Use the hashtag #YABOUND when tweeting. I CAN’T STOP THINKING ABOUT THIS BOOK. THE ENCHANTING WORLD. THE GRITTY CHARACTERS. THIS SHIPPPPP. Not gonna lie, I’m pretty sure I’ve reread this scene too many times to count. 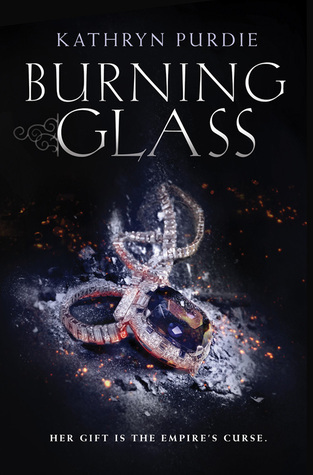 The contact sent a rush through me so sudden, I started to pull away before I caught fire. But Jin trapped my face in his hands. There was nowhere to run to. Nowhere to go. Nowhere I wanted to go. I hadn’t really thought this through, but now I didn’t have any thoughts left. Only the strength of his fingers against my neck. His breath vibrated through me until I couldn’t feel anything anymore except want. I seriously can’t wait for you guys to pick up this one when you get the chance! It’s just hands-down amazing. 😀 My recent review of it can be checked out here! Sonya was born with the rare gift to feel what those around her feel—both physically and emotionally—a gift she’s kept hidden from the empire for seventeen long years. After a reckless mistake wipes out all the other girls with similar abilities, Sonya is hauled off to the palace and forced to serve the emperor as his sovereign Auraseer.Tasked with sensing the intentions of would-be assassins, Sonya is under constant pressure to protect the emperor. One mistake, one small failure, will cost her own life and the lives of the few people left in the world who still trust her. One word to describe this word is INTENSE, and that also goes for character relationships. They’re complex, and the author really brought out a whole range of emotions from me while reading about them. Luckily for us romance readers, the main ship sets sail in this book and GAHH. Many feelings regarding this ship. I raised my gaze to him. Tears clung to my lashes. His brown eyes were a well of sympathy, stronger than any Auraseer’s. “Let me hold you, Sonya. I tensed, and my throat constricted. How long had I accused him of withholding himself when I was just as guilty of doing the same? But now that he knew the truth of me, could I really believe he still held me in regard? Could I allow him to try? I managed a small nod. That was all the permission he needed. Within a moment, Anton’s warm arms surrounded me. His chin tucked over my head. At once my chest expanded and made room for the breafth of his compassion. He held my sorrow in his own, my suffering in his suffering. He held understanding. Lots of these kind of scenes pop up in the book, which make the really steamy parts so, so satisfying. The tension is reallll. Look forward for this one on March 1! You might think that I’m sick of all these fairy-tale retellings, but NO, I will always ALWAYS ALWAYS love them. 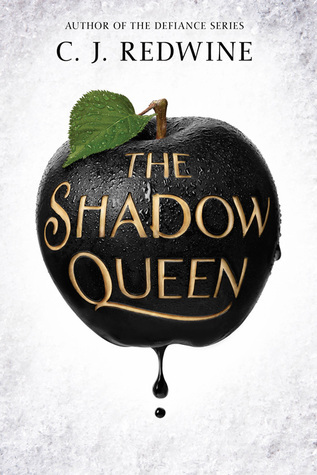 The Shadow Queen tells an action-packed story of a princess trying to recover her lost throne and features a delightful romance between this princess and a prince (who’s actually technically the huntsman too. And a dragon). He leaned closer, and the scent of evergreens and snow made him want to drag her against him and how her just how different she really was from every other girl in the world. “Yes,” she breathed the word into the space between them, her thoughts full of anticipation and need. He took that as the permission he’d been waiting for. Her lips were warmer than her hands as he gently pressed his mouth to hers, still giving her a chance to back away if she changed her mind. I’m not changing my mind. She let go of his hand and grabbed the front of his shirt instead. He ran his hand up her arm and tangled his fingers in her hair while still keeping the kiss gentle. Their first kiss needed to be perfect, and that meant holding himself back so that he didn’t rush things. Heat that had nothing to do with his dragon’s fire filled him, pressing against his chest like he’d swallowed the sun, and he couldn’t breathe without taking in her scent. Without hearing the tiny gasp she made as he deepened the kiss and pulled her closer. I’m seriously burning up just typing the scene up. 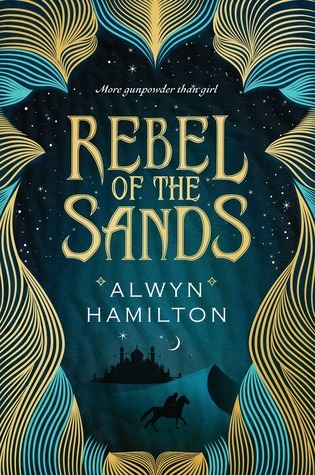 Fantasy fans should definitely look forward to this fairy tale retelling, which comes out February 23! I originally saw Alyssa from The Eater of Books doing this, and I really liked it! I love me some romance in my books, and reading those teasers from her posts got me super pumped for awesome and swoon-worthy books. Let’s hope I don’t disappoint with this post!